The path of the lemons, walking from Ravello to Minori and Maiori, accross lemon crops of Amalfi Coast. 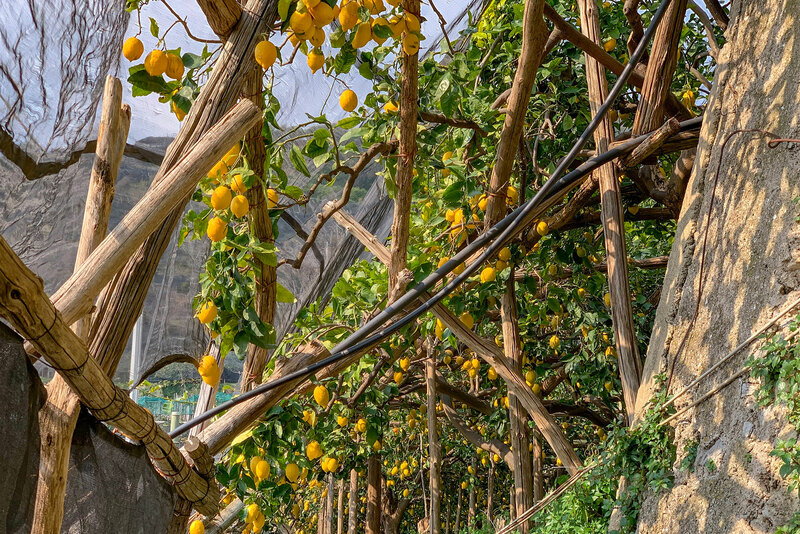 A new rural experience in Amalfi Coast, the walk of the lemons, visiting the hamlets of Ravello, Atrani and Minori. A new excursion experience to live on the Amalfi coast, visiting the most characteristic villages of this wonderful landscape, pearl of the world heritage of humanity. 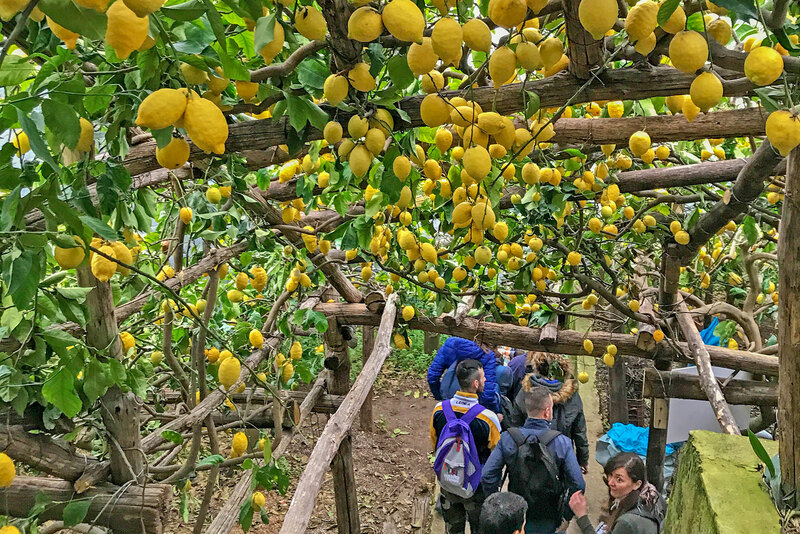 An easy walk that allows you to visit the ancient coastal practices and cultures and immerse yourself in the rural life of these places, crossing and sometimes entering into real lemon gardens. 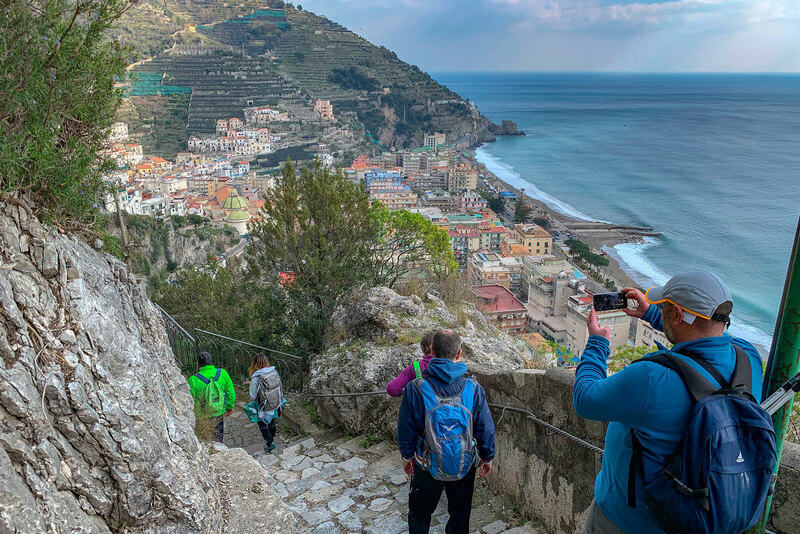 A day hike on the Amalfi Coast with the team of hiking experts, to discover the Path of Lemons and more, walking through the historic villages, starting from the center of the beautiful Ravello, down to the sea of Minori and Maiori, crossing terraces and citrus groves overlooking the sea. One of the most beautiful walks in Italy voted by the Travel365 guide, site of nature lovers, walks and breathtaking views, which has collected the best trails in Italy to be covered on foot, of different difficulty levels, capable of giving emotions and suggestions indescribable; and among these, just a stone's throw from our house there is the Path of the Lemons (or walk of the lemons), a spectacular and evocative walk of rural rural hiking, between steps and ancient streets of the Amalfi Republic, to discover breathtaking views of the sea and unique views of the landscape and coastal farm life. Feel the history of the place, walking by vertical landscape of Amalfi coast. Discover and unknow hamelt of Peninsula, Conca dei Marini. Walk from the mountain to stright to the sea, and end on a small secret beach! Enjoy he boat trip and visit the Emelard Grotto, an ancient fabolous place of the Amalfi Coast ! During the summer season, it could be very hot. Avoid to walk the path during the hottest hours ! Easy to reach with public transport, from both palces, Amalfi, Positano or Salerno ! Very relaxing and doeable walk, good for everybody. Some pictures taken walking along this amazing trail of the Amalfi Coast, from Ravello to Minori, accrossing lemon crops and local gardens. 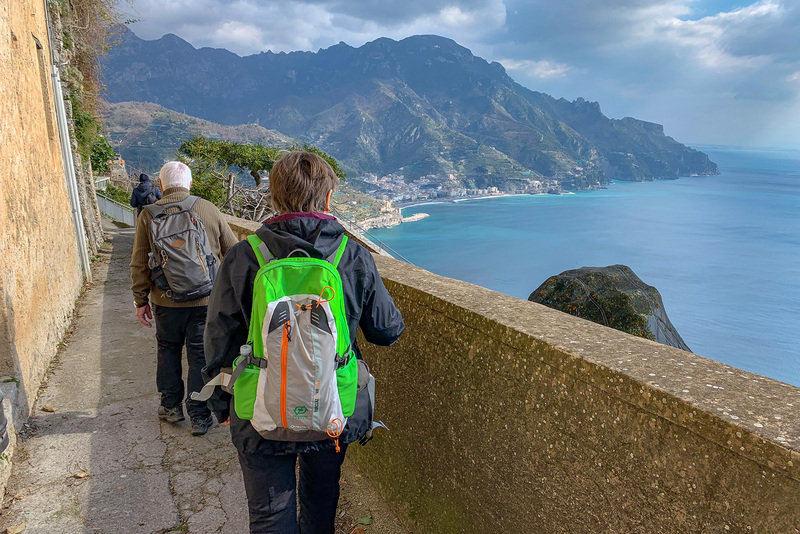 Before to start your hike, or decide to order/buy a full map of the walk, here you can download a single map of the trail from Ravello to Minori. If you don't need guide or map to visit Ravello and Amalfi Coast, so you can easy upload and follow a track on your smartphone, rembemer to using it only under your responsibility!